You don't need to be an artist to create a masterpiece! We have everything you need to learn this ancient art form. Melt pieces of glass together to create a design. Birthday parties, fundraisers, baby showers & more! 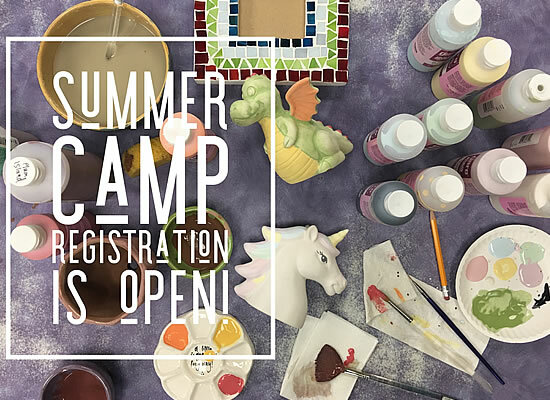 We have kids camps, girlfriends night, art classes & more! Walk-ins are always welcome! No reservations required. 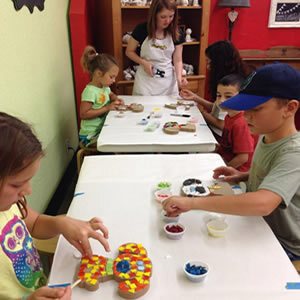 Brush with Art is a family owned paint-your-own-pottery studio in Amarillo, Texas. 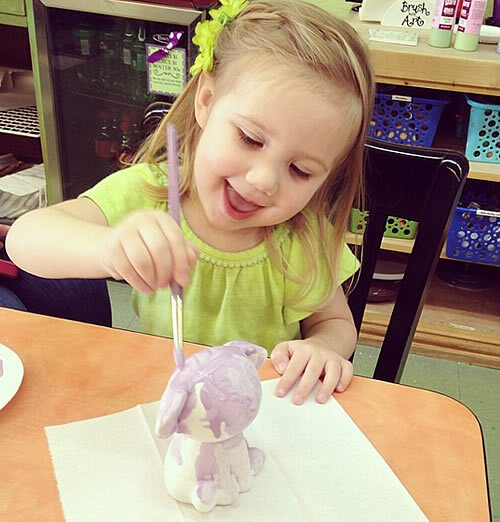 We're all about having fun and making art in a fun, family-friendly, relaxed atmosphere. 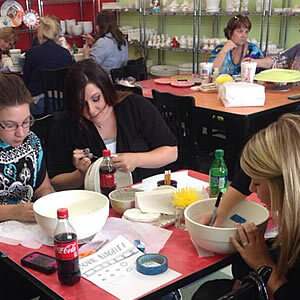 Painting your own pottery is a fun, creative experience for everyone and no artistic talent is required. We supply stamps, stencils and support. We offer a wide range of ceramic items to choose from. 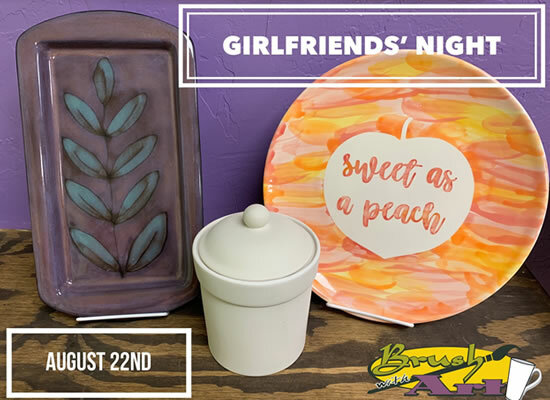 Along with pottery painting we also offer mosaic & fused glass art projects as well as camps and classes for kids, special events & workshops for all ages and custom pottery painting for commemorative plates. Our kids birthday party packages are very popular but we also offer parties for baby showers, team building, holidays and more. 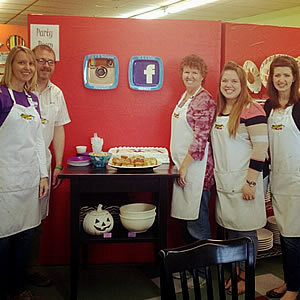 We offer online reservations for classes and parties and monthly events too. Sign your kids up for some summer fun at Brush with Art! 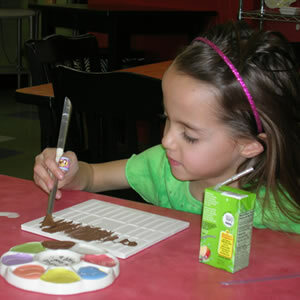 We will offer Summer Art Workshops for ages 6 & up & Wee Ones Art Classes for ages 2 & up. 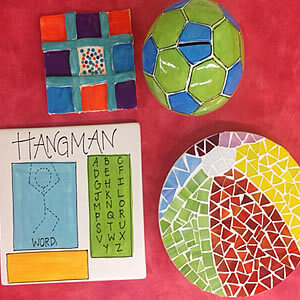 Classes will be in pottery painting, handbuilding with clay, mosaics & fused glass. $10 class fee due at registration, balance due on day of event. 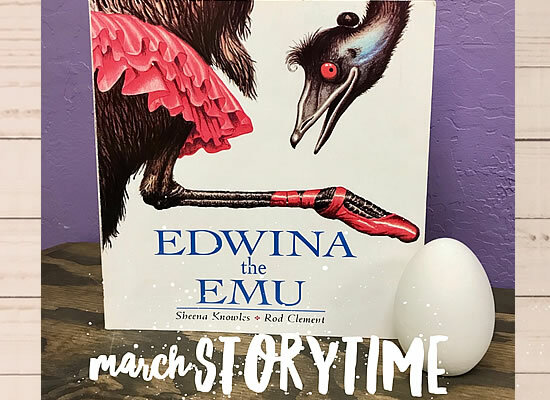 10 a.m. Friday, April 12 & 2 p.m. Sunday, April 28. We will read "Ladybug Girl," and kids will paint a ladybug magnet for $10 + tax. This mommy-and-me activity is best for ages 2 and up. Your piece will be glazed, fired & ready in about a week. Reservations appreciated. 6:30-8:30 p.m. Thursday, April 25. We will be painting this Twisted Flower Pot step-by-step together. (There will be other designs to paint on this pot too.) There's a $10 class fee due at booking; pay for piece the day of class. Sample platter is $22. For just us girls, ages 16 & up. Reservations required. 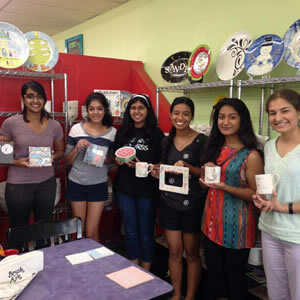 Painting pottery is fun & easy! Choose from a wide selection of blank bisque, use the provided paints, brushes, & tools to design your piece. We will fire it in our kilns and you can pick it up in about a week. We throw great kids' birthday parties but our party packages are not just for kids. We can also host team building events, baby showers, bridal showers, charity fund-raisers and more. 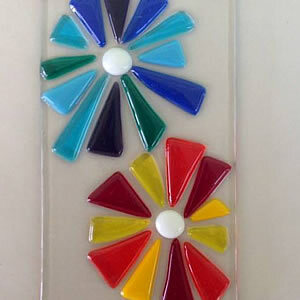 Drop in and make beautiful fused glass art. We provide the glass, tools and kiln firing, you bring your creativity. Our friendly staff will teach you how. It's not hard and the resulting pieces are fantastic! Adults and kids can create amazing mosaics at Brush with Art. Just pick your base, then glue on colorful tiles to create your design. Take it home with you to grout, or we can do the grouting for you for a fee. We have lots of good ideas for fund-raisers! We specialize in classroom projects. We offer field trips where you can bring your class in to our shop or we can put together a kit for you to create in your own space. Check out our fantastic monthly events such as Girlfriends Night, Story Time, and more. All our monthly events can be booked online. We also have special & seasonal events. We offer Spring Break and Summer Art Workshops each year. We offer seasonal events: Anniversary Day celebrations, Mother's Day Tea, Clay Impressions, community fund-raising projects and more. 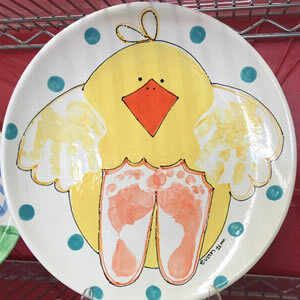 Our talented in-house artists custom paint handprint, footprint, or pawprint plates for you! They make great gifts, and are a wonderful way to create a memory or celebrate an event.